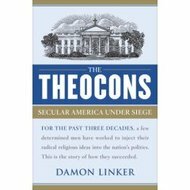 Linker's literate, reasonable chronicle and assessment of the theocons, that of an erstwhile colleague who shows no personal animus toward his former associates, is one of the most enlightening critiques of the Religious Right to date. I agree. Of course, my own is better. But then I would say that, wouldn't I?